Great news! 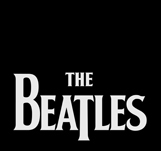 Paul McCartney and The Beatles are now on Twitter with 100% verified profiles – meaning, this is really them! This is a great move by whoever made the decision for them to join Twitter. I think Twitter can be a powerful platform for announcing new releases, remixed albums, concert updates, and more. In fact, it would surprise me if soon we see all record labels requiring bands to join to Twitter – it makes sense to me. Now who exactly is behind Twitter profiles is hard to tell because it looks like third parties are driving the updates. Nonetheless, the accounts are verified, so Mr. McCartney is in the loop somewhere.